The HyperFusion Academy is an independent, professional, industry based theatre training centre. 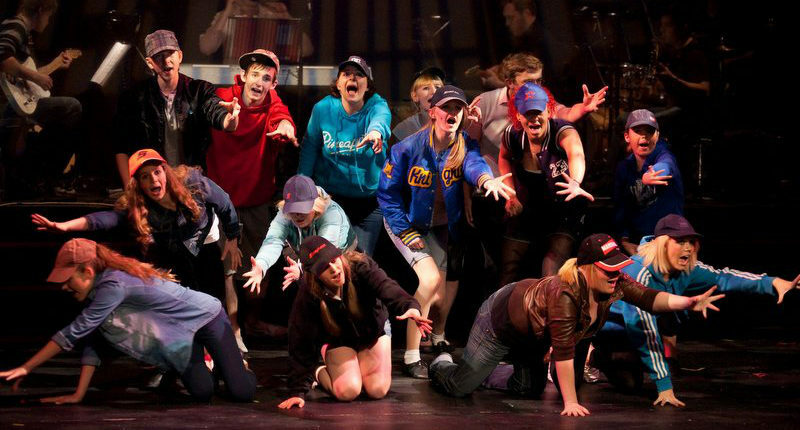 Our 60-strong academy develops theatre and personal skills. Central to our approach is an ethos of empowerment to inspire creativity, self-esteem, expression and collaboration skills in young people. Working with young people ages 4-18 years, old we focus on great fun whilst developing theatre and personal skills, creating outstanding, confident, strong and diverse performers and people. We hire specialist and trained dance, drama and singing teachers/performers currently working in the theatre industry and the West End providing expert training in each genre. We focus on the complete person through our ethos of empowerment, inspiring self- confidence, creativity, self esteem, expression and collaborative skills. We are the only training facility locally that is attached to a professional touring theatre company, linking heavily with regards to input, staffing, material, experience and opportunities to progress. The work that Sarah does is so important, crucial to so many people here. I am very grateful for all the effort and time she puts in to developing the talents and personalities of us lucky youngsters. Working with her has been lovely, she pours her heart into the group and we are all very grateful. Thanks a million billion. The young people gain so much from working with professionals. The teachers have high expectations and deliver the lessons with an obvious love of their art. The youngsters can’t help but get caught up in the excitement of working on the stage. I have increased my confidence already in only one session. I can’t wait to carry on!